Andy Knutson started with Westbrook in 1999 and currently serves as Vice President and Structural Project Manager. Andy obtained a Bachelor of Science in Civil Engineering in 1995, and a Master’s of Science in Structural Engineering in 1997, both from Marquette University in Milwaukee, WI. He is a registered Professional Engineer (PE) in Alabama, Arkansas, Connecticut, Georgia, Hawaii, Indiana, Louisiana, Maine, Maryland, Massachusetts, Mississippi, Nebraska, Nevada, New Mexico, New Jersey, New York, Ohio, Oregon, North Carolina, South Carolina, Tennessee, Texas, Virginia, Vermont, Wisconsin and Wyoming, and a registered Structural Engineer (SE) in Illinois. He has experience in designing construction falsework and shoring systems, bridge demolition and erection procedures, bridges, rating existing bridges, developing repair procedures for rehabilitation of existing structures, marine engineering, and new residential and commercial buildings. 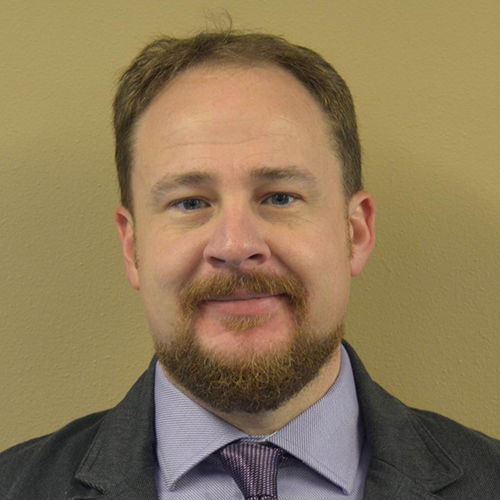 Mr. Knutson also has extensive experience in forensic engineering and failure analysis including structural collapse of buildings, bridge structures, and agricultural facilities. Westbrook regularly handles forensic projects involving proper material usage, proper drainage, and temporary shoring during construction, as well as fire, flood, hail and wind damage. He is familiar with all applicable structural design codes, including AASHTO Standard Specification for Highway Bridges and AASHTO Guide Specification for Bridge Temporary Works, AREMA, ASCE, AISC, ACI, IBC, and is an OSHA qualified person. Andy lives in Spring Green, WI with his wife and children. When he is not busy working on their house projects, he enjoys spending time with his family, playing tenor saxophone in a local jazz band, and riding his motorcycle.